We get it – building out a full strategic marketing plan takes a lot of time, but adjusting your efforts frequently is crucial to success. The more stuck in your ways you are, the more you’re falling behind. It’s easy to resort to things you’ve already done or are currently doing that are successful, but that’s not going to get your sales where you want them. Here are the most common reasons your marketing strategy isn’t getting you anywhere. Deciding what marketing tactics you’re on board with is usually the easy part, but if you don’t resonate with your audience you aren’t going to reach your goals. With consumers being exposed to over 10,000 messages per day, you have to break through the clutter. People want a genuine connection with your brand. No matter the platform, people want to identify with you and want a reason to buy in. So you had a brilliant idea, it worked perfectly and you saw success. Guess what? That was five years ago. At some point, the novelty wears off and a campaign isn’t as good or effective as it previously was.The more you grow, the more you’re going to have to test, make changes, and optimize. You’re going to have do some AB testing, experimenting and breaking out of your comfort zone a bit. What is that saying? Change begins at the end of your comfort zone? 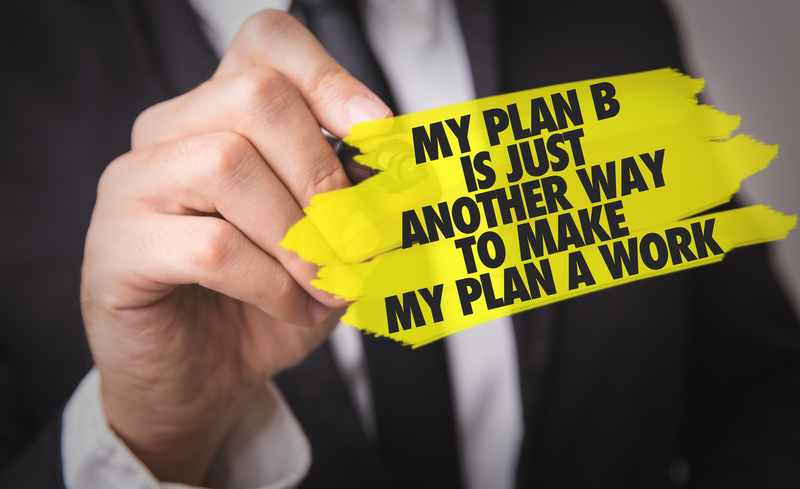 That’s exactly the mindset you should take with your marketing plan. As we discussed in a previous post, if you haven’t started using video to tell your companies story yet, you’re already behind. If a picture is worth a thousand words, then how many is a video worth? (A million? A trillion? We’re not too good with math.) Taking advantage of this visual storytelling can make you stand out and capture your audience’s attention. You don’t know what kind of content to produce. Coming up with a theme, timely topics and something new is challenging. Your target market isn’t top of mind. When writing your own content, it’s easy to get caught up in what YOU think is important versus what your target market wants to know to make a decision. It’s boring. While you may not be in the most exciting industry compared to others, you can be engaging with well-written, valuable and focused content. Some of you may have read that and thought “Are there even websites out there these days that aren’t mobile-friendly?” and others are thinking, “Is it really necessary?” Your customers are mobile, so you should be too. Considering how ingrained mobile devices are in our lives, both personally and professionally, a mobile-friendly website isn’t a trend, it’s a staple [Impact].If you haven’t yet optimized for mobile, 2019 is the year – no more excuses. With 48% of consumers starting their mobile research with a search engine and 33% going directly to the site they want [Smart Insights], this is even more of a reason why you want to produce valuable content that’s easy to find online by your target market.If you’re really committing to going mobile, text message marketing is another way you can reach your customer. Communicating with your customers via text message is a great way to reach your audience, but keep in mind, short, custom and quality text messages are best. There are plenty of reasons your marketing may not be working, but chances are, you may fall in one of these reasons. Take your marketing strategy now and ramp it up a bit, but don’t forget to have fun! Marketing should be one of the exciting aspects of your business – don’t take things too seriously.